William McNally performed for the first time in Carnegie Hall shortly after his ninth birthday and has since played there two more times. 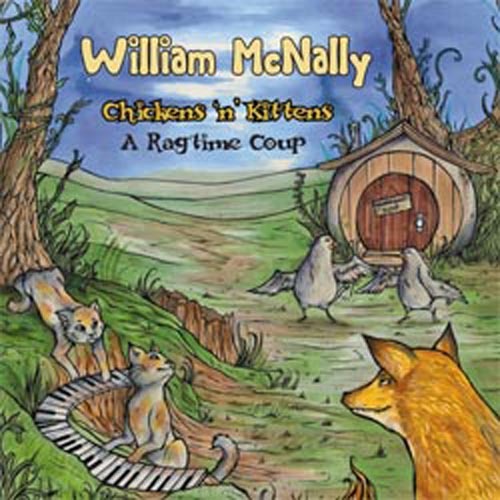 A multifaceted musician, Mr. McNally is a widely recognized ragtime pianist and composer. He has twice won the World Championship Old-Time Piano Playing Contest's New Rag Competition (2008 and 2009), and follows his particular interest in the modern and classically trained ragtime composers. 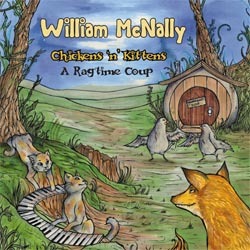 17 tracks recorded in 2008 including such seldom-heard gems as Doucet's "Chicken Pie" and Godowsky's "A Little Tango Rag" alongside favorites such as Scott Joplin's "Solace" and William Bolcom's "Graceful Ghost Rag" and premiere recordings of Andrew Barrett's "Humanitaur Rag" and Mr. McNally's own prize-winning "Blue Donkey Rag."